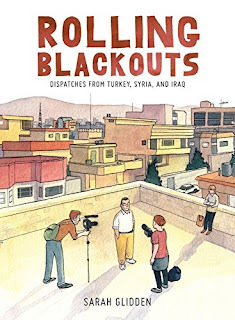 Summary (from the inside flap of the book): Cartoonist Sarah Glidden accompanies her two friends--reporters and founders of a journalism non-profit--as they research potential stories on the effects of the Iraq War on the Middle East, and specifically, the war's refugees. Joining the trio is a childhood friend and former Marine whose past service in Iraq adds an unexpected and sometimes unwelcome viewpoint, in the eyes of the people they come across and perhaps even their own. As the crew works their way through Turkey, Iraq, and Syria, Glidden observes the reporters as they ask civilians, refugees, and officials, "Who are you?" Everyone has a story to tell: the Iranian blogger, the United Nations refugee administrator, a taxi driver, the Iraqi refugee deported from the US, the Iraqis seeking refuge in Syria, and even the American Marine. Glidden records all that she encounters with a sympathetic and searching eye. 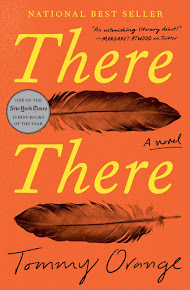 The novel is painted in her trademark soft, understated watercolors and written with a self-effacing humor. Review: Aarti at Booklust recommended Rolling Blackouts. I have already read Glidden's first graphic novel, How to Understand Israel in 60 Days or Less. 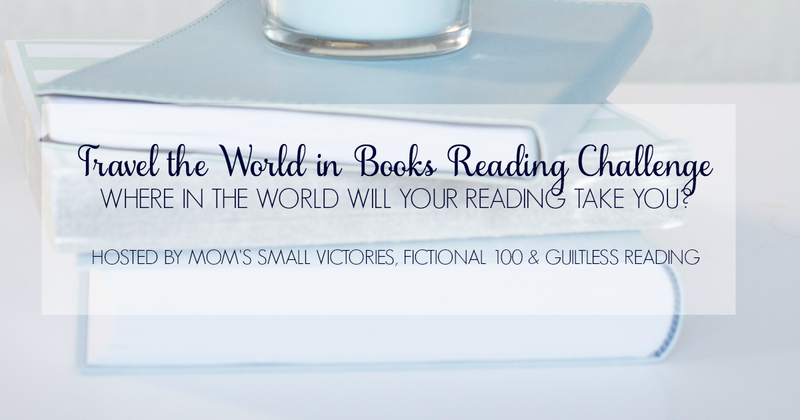 I liked this book better as the story captivating me more and it made me think more as well. Like her first book the drawings in this novel are realistic and gave me a really good sense of what it was like visually for her when she was traveling. The color choices were soothing, which in some ways, belies the feeling that I expected her to have in the Middle East. But as I write this, I realize that perhaps that part of her point: as Americans we have one view of Iraq and Syria in particular as places of turmoil and anger. But she traveled in 2010 to 2011, before the Syrian civil war began and after the main fighting in Iraq had ended. She met doctors, lawyers, students, soldiers, and shopkeepers. All people living their lives as best they could given that they were refugees. I think following journalists around was an interesting premise. The reader learns the refugees' stories, but also gets a behind-the-scenes look at how her journalist friends think about story. How they make contacts, what questions illicit better and more captivating stories, and what they do when a story doesn't go the way they thought it would (or the way they seem to want it to). I liked feeling like I was inside that process. I want to know what happened to the people they interviewed, but that isn't an option and, I realize, part of the point. We don't get to know.